DON’T BE FOOLED BY SCAM ARTISTS WHO PROMISE TO “CALCLUATE” YOUR INJURY CLAIM! Anyone searching the internet for information about how to make a claim for personal injury will encounter all kinds of websites with so-called “calculators” that promise to calculate the value of your claim. Wanting to know what your claim is worth is perfectly natural and everyone injured in an accident wants an answer to this question. Unfortunately, websites or attorneys that promise to calculate the precise value of your claim or tell you in advance how much you will get are, well, a scam. Pure and simple. Don’t be fooled! I have handled thousands of personal injury cases over the last three decades and one thing I can tell you is that no two cases are the same and no case can be precisely evaluated until the time is ripe to evaluate and settle or prepare for trial. So if you have been injured and you are thinking about making claim, do yourself a favor: avoid the scam artists who make false promises! Talk to a local experienced personal injury attorney who can give you honest answers about your case. 1. When you are injured you are entitled to recover the reasonable cost of your past and future medical bills, your past and future wage or earnings loss, and an amount to compensate you for your pain, suffering, anxiety and distress caused by your injury. Your spouse may have a claim for damages even if s/he was not injured. 2. Most reputable attorneys do not charge any fee until or unless they win your personal injury case and make a recovery. At the Law Offices of Kevin McConnell, we get paid only if we win your case and we advance all the costs. If you need medical care, your local personal injury attorney can connect you with doctors and healthcare facilities who can treat you even if you do not have health insurance. 3. You should be represented by a local attorney who has a real office near your home. Many law firms advertise all over the state. Be sure to ask if the attorney who will be handling your case works every day at the office near your home or if this is merely a “satellite office”. There is nothing more frustrating than being represented by a lawyer who you can never see or talk to. 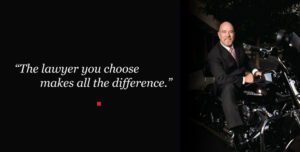 At the Law Offices of Kevin McConnell, we are a local Santa Rosa personal injury law firm. Our office on College Avenue in downtown Santa Rosa is open five days per week and you are welcome there any time to discuss your case with your lawyer, face to face. And we make a mean cup of coffee! 4. Check your attorney’s references. At the Law Offices of Kevin McConnell, many of our clients have expressed their thanks for a job well done. Also see our five-star rating on Yelp.com and all the positive reviews on Google+. 5. Make sure your lawyer has experience. At the Law Offices of Kevin McConnell, we have handled all kinds of cases, large and small, and consistently produce great results for our clients. 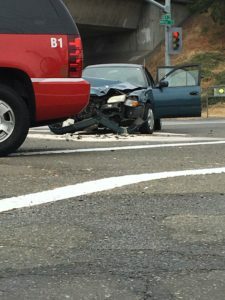 If you have been injured in an accident, call or click today to speak to an experienced Santa Rosa personal injury attorney. At the Law Offices of Kevin McConnell we always provide a free, no-obligation, confidential consultation with an experienced personal injury lawyer.